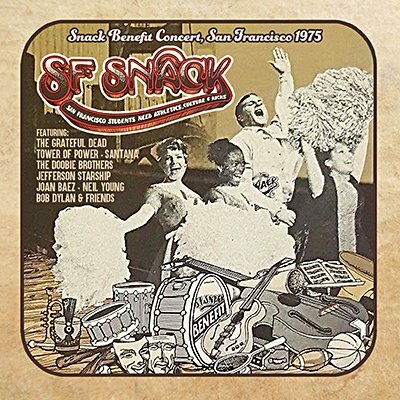 When it was reported that San Francisco's school board lacked the money to continue funding extra-curricular activities, Bill Graham swiftly organized the SNACK ('Students Need Athletics, Culture & Kicks') Benefit, which took place in the city's vast Kezar Stadium in March 1975. The remarkable bill featured Santana, the Doobie Brothers, Jefferson Starship, Joan Baez, Neil Young, Bob Dylan and others and the music they played that momentous Sunday, broadcast on K101-FM, is presented here together with background notes and images. 1. Intro - Are You Ready For The Country? Artist	 THE GRATEFUL DEAD, TOWER OF POWER, SANTANA, etc.